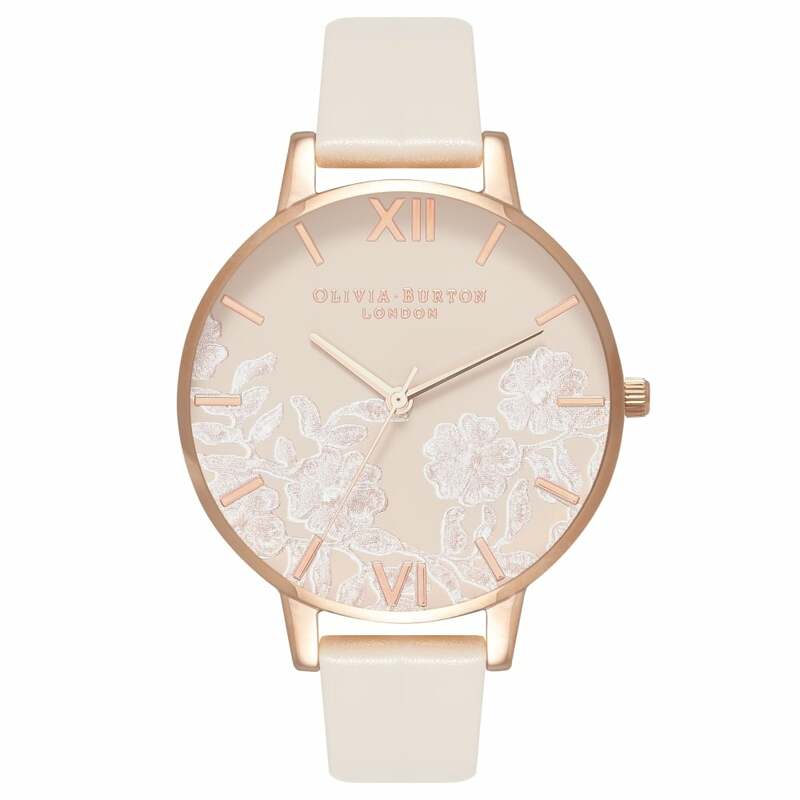 This lace detail watch from Olivia Burton is simply beautiful. We love the opulent rose gold casing and markers which beautifully frame the embossed lace dial. The snow white strap is beautifully soft and crafted from vegan friendly synthetic leather. One o our favourites from the new collection.